Tjokorda Bagus Wiratmaja was born in 1984 in Gianyar, Bali and has had an interest in art from a early age. He enrolled in SMK N1 High School Sukawati and specialized in Art during his time there. He went on to pursue Art at the Indonesian Art Institute (ISI) in Yogyakarta and graduated with a Masters in Fine Arts. 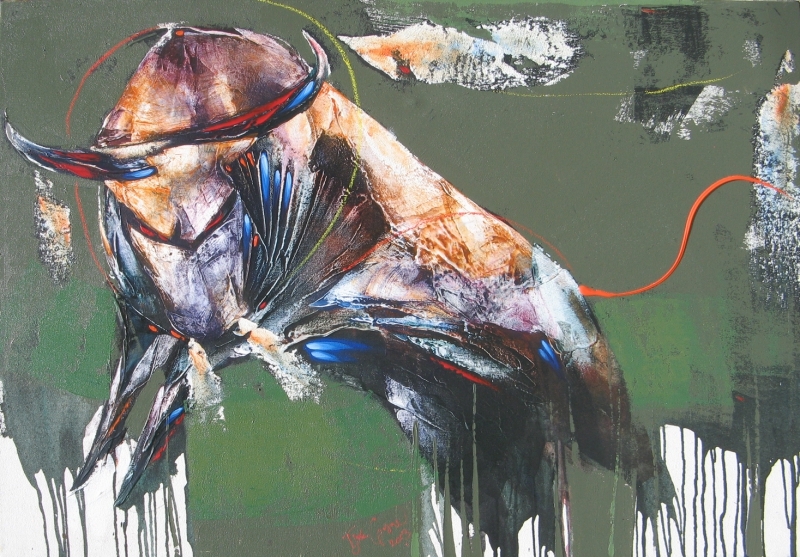 Tjokorda creates artworks that stem from intense emotion and fearless colour exploration. His canvases are texturized, as he crafts dense surfaces out of acrylic painting where he layers colour on colour and sometimes uses elements such as sand and pigment powder to achieve this finishing. His pieces are inspired by daily living in his native Indonesia, such as social and political conditions. However, sometimes he likes to explore the complexities and yet simplicity of nature by creating abstract works where animals seem to appear or disappear. This play of making visible what appears to be invisible is a metaphoric interpretation of the elusiveness nature of animals to humans. In his pieces, shapes are forms that have their own individuality, which he feels he releases as he paints. The freedom of his forms is expressed through texture, lines and colours, and is materialized into something transcendental. 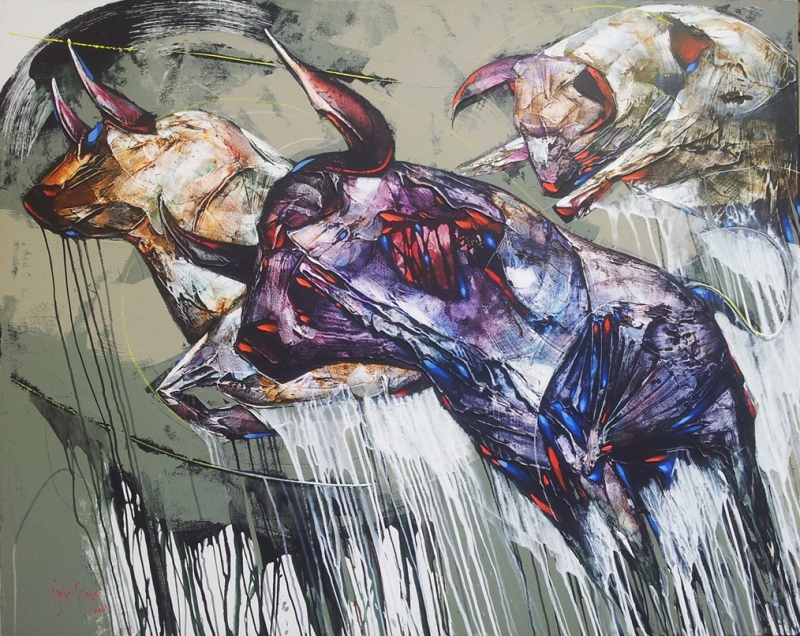 Tjokorda has exhibited his works in multiple group exhibitions in Indonesia and Singapore and has received awards for his impressive work. Amongst the many awards, Tjokorda received the Best Sketch Award at the FSR Seni Murni Insititut Seni Indonesia Yogyakarta and second place in the Pekan Seni Mahasiswa Nasional (Peksiminas).